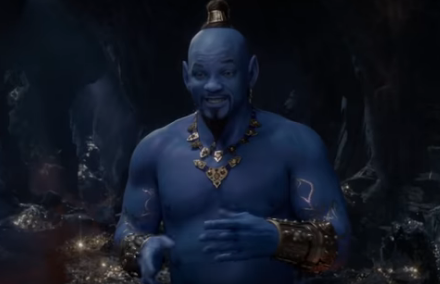 In December, fans weren’t too happy with Will’s take on the character made famous by Robin Williams, but Will assured fans on Instagram that he was “going to be blue.” and that his character would be “mostly CGI.” Smith kept his promise when near the end of the trailer you hear Genie’s voice and then he popped out as Genie and was indeed blue. Will took to Instagram after the trailer debuted and said, “I told y’all I was gon’ be Blue! Y’all need to trust me more often!” Aladdin is in theaters May 24.